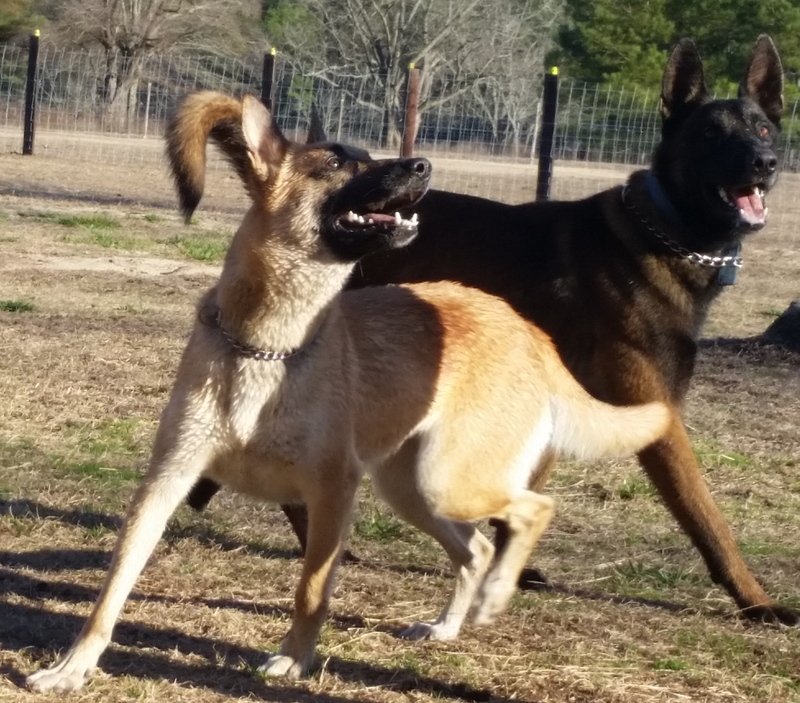 We are a family owned and operated breeding establishment located in Fayetteville, North Carolina just outside of Fort Bragg. 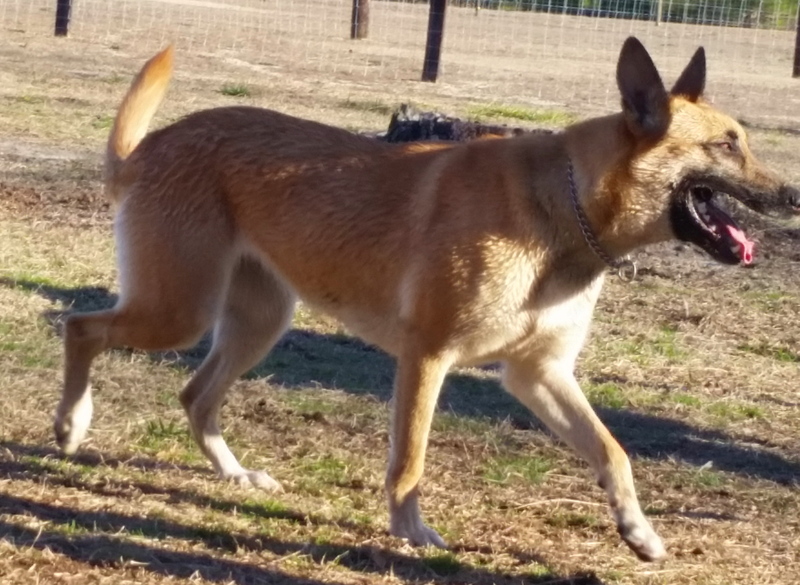 Our focus is specializing in breeding Imported German Shepherds and Belgium Malinois matching top quality working class pedigrees producing puppies that are very intelligent, easy to train and make excellent companions. Our puppies are continuously socialized, and tested at 6 weeks using the Puppy Aptitude Test to be broken down into categories. These categories separate the hard working pups from the pups that are suitable for personal protection and family companions. 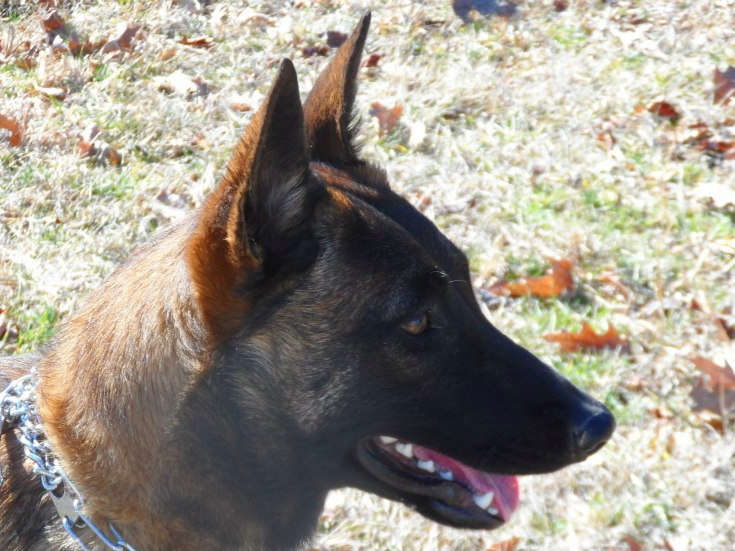 Known as the Chien de Berger (bair-zhay) Belge (belzh) in Europe, the Malinois is often seen riding in a police car. This herding breed from Belgium — he takes his name from the town of Malines — does not have a well-known history before the late 19th century the late 1800s. He may have been helping shepherds care for flocks for centuries, but it wasn’t until 1891, in a burst of national enthusiasm, that Belgian herding dogs were divided into types and given names. 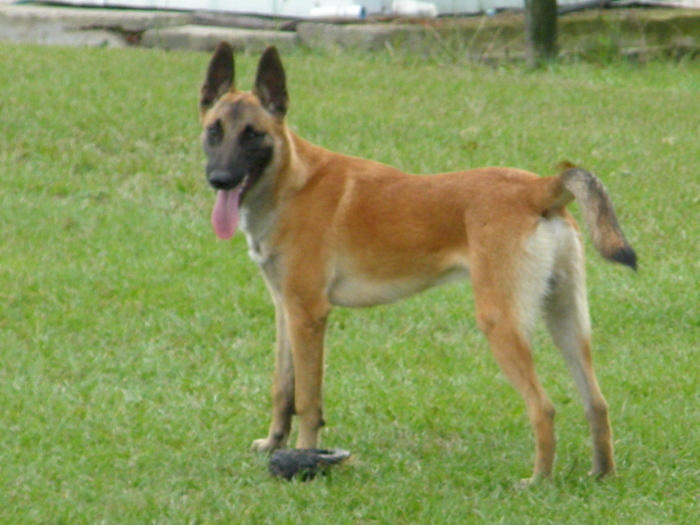 The shorthaired Malinois became quite popular as a herder, and his abilities were later turned to police and military work. Photos at police dog trials in 1903 show Malinois climbing 10-foot ladders and performing other displays of agility. It’s not surprising that many of the dogs were conscripted during World War I. The American Kennel Club accepted the breed in 1911, calling them Belgian Sheepdogs and not separating them by coat type. There was little interest in the breed, though, and they had disappeared in the United States by 1939. 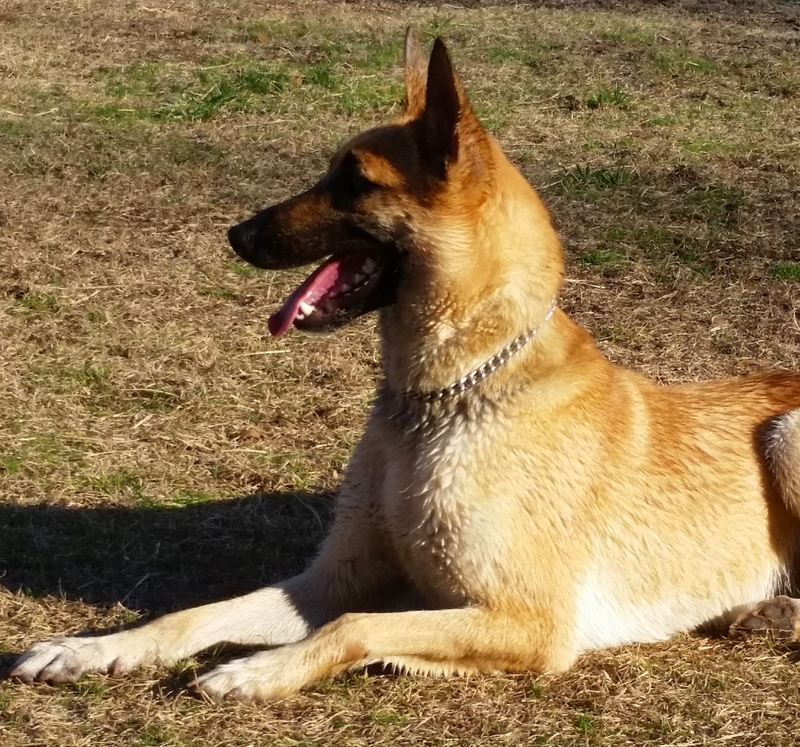 After World War II, more were imported, and in 1959 the AKC decided to separate them into three different breeds (the fourth breed, the Laekenois, is still not recognized by the AKC because so few exist in this country). 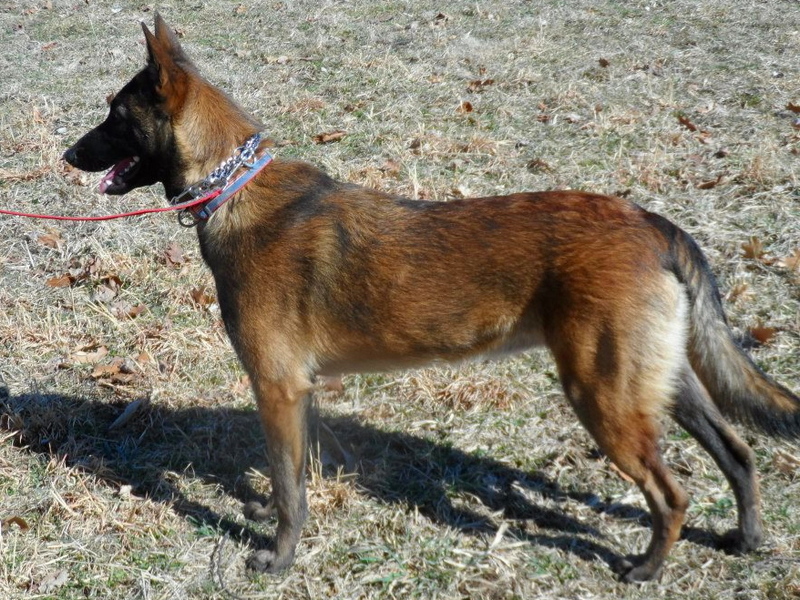 The Malinois was less popular than the Tervuren and the Belgian Sheepdog, so he was relegated to the Miscellaneous Class and was not fully recognized again until 1965. 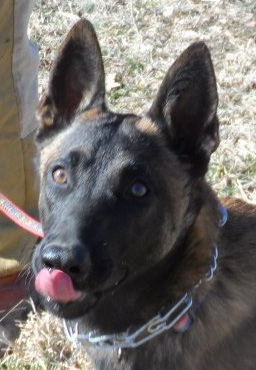 Today the Malinois is a popular police and military dog and can be a good family companion in the right home. He ranks 76th among the breeds registered by the AKC. The east and west division in German Shepherd lines occurred because of the division of Germany after World War II. Many of the differences between these two lines of the breed occurred because of conditions within their respective countries. West German lines have very pronounced differences between the dogs bred for show and those bred for working, although the show lines have more popularity. Some of the east German shepherds were bred for aggression, to attack people who attempted to cross the wall out of East Germany; others were bred for herding, show, or as pets. East German shepherd dogs, also called DDR German shepherds (Deutshe Demokratishe Republik), tend to have dark pigmentation, a large, blocky head, big bone structure and a lean build. 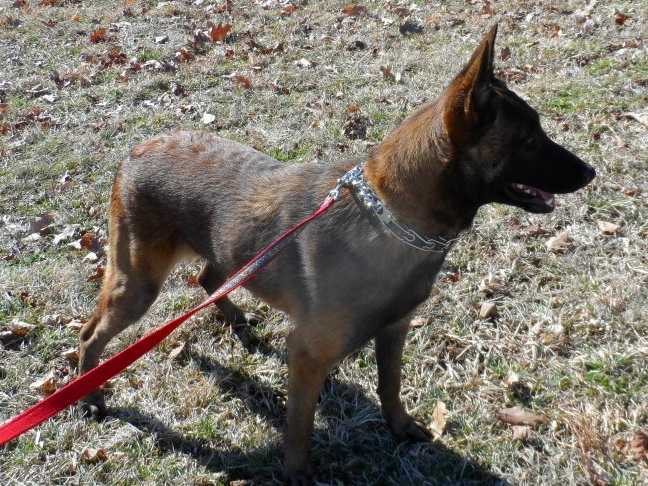 Their backs do not slope like the international show lines of German shepherds, but have a straight appearance. East German shepherds were bred more for their working abilities and have few problems with medical issues such as hip dysplasia. They have high energy levels and need sufficient activity (work) to keep them healthy. The German Shepherd is not only one of the world’s most popular companion dogs, but also probably the most widely used breed for service work. The development of the German Shepherd Dog, along with a number of existing breeds, helped pioneer the modern use of dogs for service and community work that we can see today. For a breed of dog that has only been officially recognized for just over 100 years, it has made an outstanding contribution to mankind worldwide. The origins of the breed came from various sheep dogs found in Germany during the last century. Captain Max von Stephanitz had long admired the qualities of intelligence, strength and ability found in his native German sheep-dog breeds of which there were long, rough, wire and short coated varieties, all much alike in build, but with various colourings masking the similarities of type but he had yet to find a dog which embodied all of his ideals. Captain Max von Stephanitz purchased a dog named Hektor Linksrhein which greatly impressed him. Von Stephanitz subsequently renamed the dog Horand v Grafrath. On 22nd April 1899 Von Stephanitz, Adolf Meyer, Ernst Von Otto and others, formed the Verin fur Deutsche Schaferhunder (SV) in Germany. (SV) in Germany. The translation of this name is roughly “ The German Shepherd Dog Club of Germany “. The SV started a registration book and Horand v Grafrath became the first registered German Shepherd Dog. On 20th September, 1899, the SV adopted a breed standard based on the proposals of Meyer and Von Stephanitz and later held its first specialty show at Frankfurt-am-Main, using the titles Sieger and Siegerin. The development of the German Shepherd Dog had begun. In the second half of the 19th century, dog breed fanciers began to fix the type of sheep dog found in Germany that would eventually form the basis of the modern German Shepherd Dog. Various attempts were made to form associations to develop the German Sheep Dogs such as the Phylax club, which was formed in the early 1890’s but disbanded in a few short years. Not only were dog fanciers discussing the breeding of dogs, but also the training of dogs was becoming a great interest. A driving force of the time was Doktor Gerland who presented the world’s first trained police dogs just prior to the turn of the century. These events helped to bring the development of sheep dogs to the attention of many influential people in Germany. Von Stephanitz who became President of the SV realized that increased industrialization in Germany would reduce the demand for sheep dogs and in co-operation with German authorities earlier this century, began trialing the German Shepherd in other roles to ensure its survival as a working breed. Through a firm guiding hand the SV became the largest single breed club in the world, and the breed became one the most versatile breeds known to man. Remember, someone out there may be trying to kill you and tonight may be the night. So keep your head up, look out for the bad guys and trust your dog. Routine kills. Only fools go where angels fear to tread. If you do your job properly and let your dog do what he has been trained to do, you will live to tell about it. 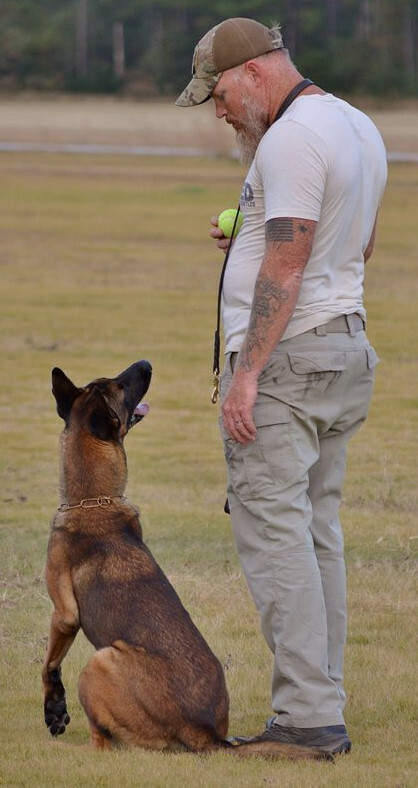 Stay safe, and one last thing – you are your dog’s best trainer. He will rarely be better than you, so if you have a problem with your dog, look first to yourself and only then look to your dog. Parents have strong working bloodlines with world titles throughout their pedigrees. 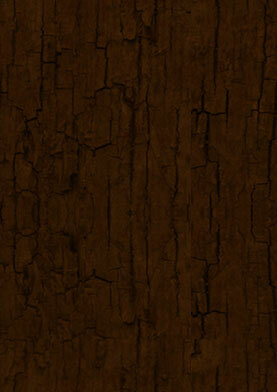 Parents are trustworthy and well-mannered with excellent social skills. Proven pedigrees combine the best working lines known to produce absolute rock-solid character, temperament, drive and grounded structure. 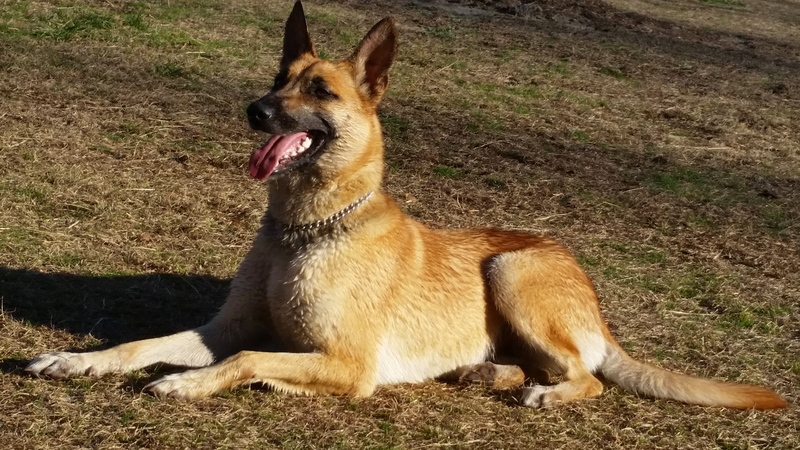 The Malinois, or Belgian Shepherd, is the ideal working dog. This breed is known for its strong work ethic, its athletic physique, its intelligence and its enormous stamina. This shepherd is exceptionally well-suited as a guard dog, search dog, sport dog and police dog, but also makes for an excellent family dog. Is this inquisitive and vigilant shepherd dog something for you? Are you able to keep tight control as its owner? In our kennel you can get puppies with an excellent pedigree. the sale of any of our dogs and/or puppies for any reason to anyone. This deposit is non-refundable and will be active for a year due to unforeseen incidences per Newmanhaus Kennels or the depositor.